I have not always been a handbag girl and I cannot classify myself as one but it is slowly turning into a little love/addiction. I have quite a few bags but I only use one at a time until I get fed up and change it. I admire people who change their bags ever so often; I am too lazy for all that malarkey. 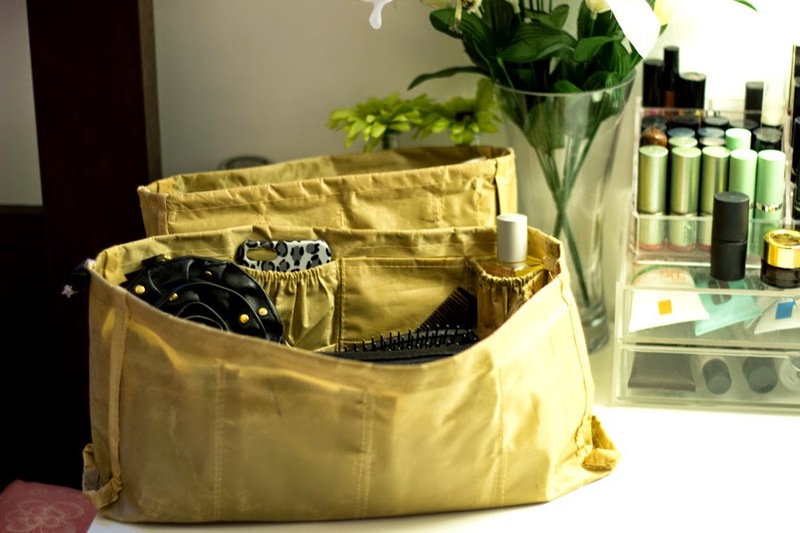 Of course, I change my bag if I am going for an event, say, church, wedding, dinner, etc as it would be atrocious to lug around my heavy everyday bag. Zara is my go-to High Street Store for anything handbag or leather accessories because they are so fantastic in quality, style and price and they last really well. 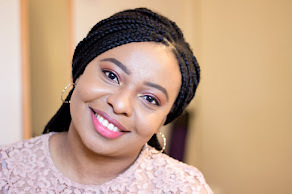 Read my reviews of my Zara Bags here and here to see what I am talking about. Anyways, my most expensive bag is/was my Zara Office City Bag which I still love but it's quite heavy and encourages me to stuff it to the brim. Zara Bags are the bridge between good quality and affordable prices and they are my usual choice when I want to splurge on a bag. 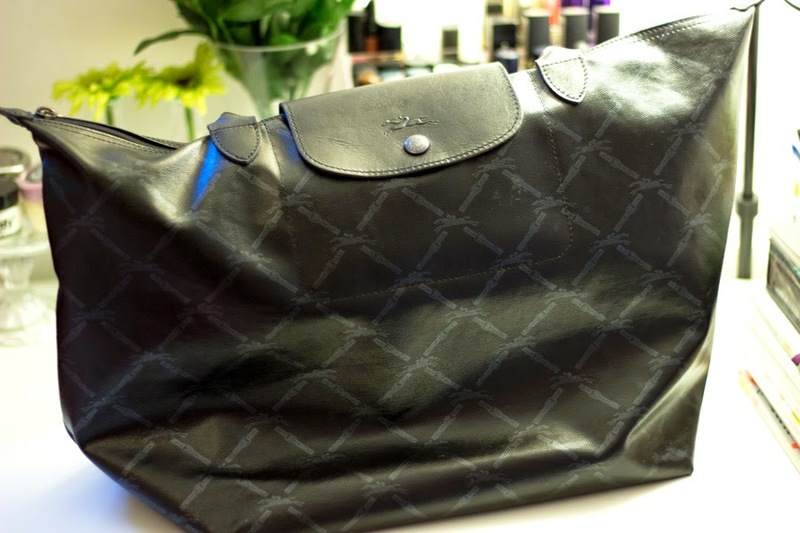 However, I have been eyeing Longchamp bags for over two years, in particular, the Le Pliage range which is the commonest and best selling Longchamp bag. I could not decide on what colour I wanted and to be fair, I did not really want to purchase a bag that was really common despite my lust love for it. Enter the Longchamp LM Metal Large Shopper...Before now, I had never seen this design so I was quite intrigued and even more when I discovered it was on sale in Elys Wimbledon. When I heard Elys were having sales, I popped down (as you will) to see what was on offer. Most of the best selling colours of the Le Pliage were sold out/not on sale until I spotted this lovely one- The Longchamp LM Metal and it was love at first sight although I deliberated on buying it but it was on offer and who even sees Longchamp bags on offer? It's not an everyday occurrence so I picked it up. Although it may look like an impulse buy but it’s not technically because I wanted a Longchamp bag since 2012 which is a pretty long time to be lusting after a bag that won’t technically break the bank or piggy savings in my opinion. 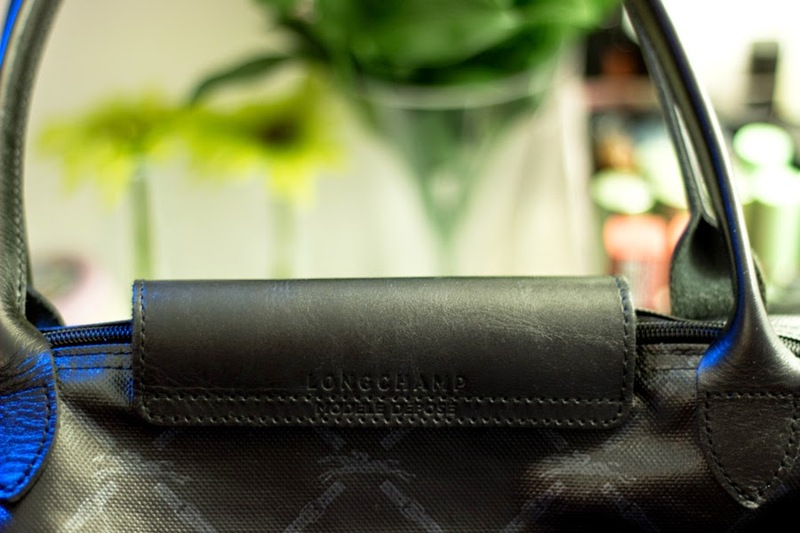 Longchamp was founded in 1948 by Jean Cassegrain who inherited his family’s Tobacco shop and decided to create an innovative pipe wrapped in leather which was instant hit and was sold exclusively in his store. 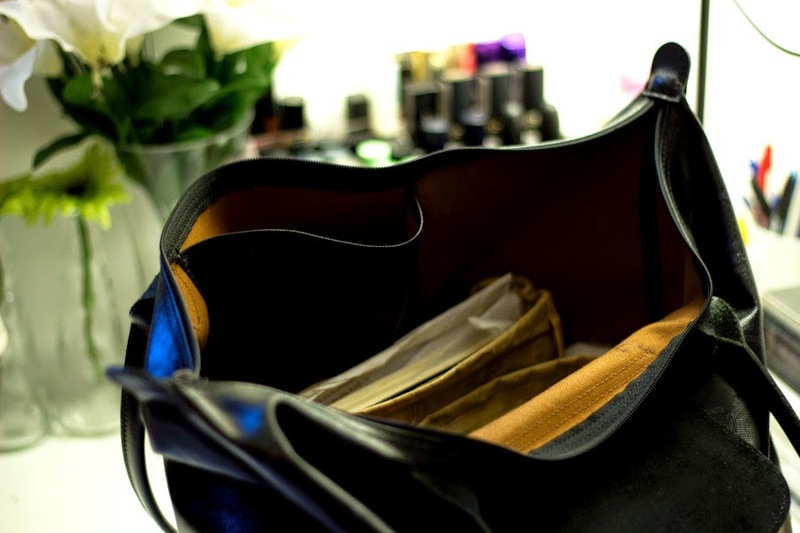 Seeing that leather was desirable, he branched out into more leather goods like handbags, purses, wallets and other leather accessories which were also instant hits. With a new line comes the need for a new name, he chose the name “Longchamp” after he was walking past a Horse Race Track in Paris and he thought that would be an amazing name and I can't agree more. In case you are wondering, Longchamp in French translates to “Long Field” and it is the basis for the Longchamp Logo which is a Jockey riding a horse and I really like it. Today, Longchamp is a brand going strong even after 66 years of its launch. 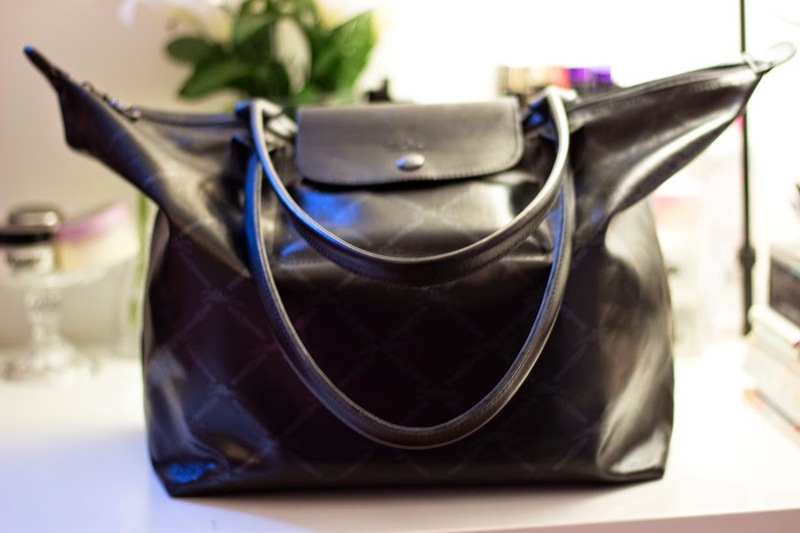 The Longchamp LM line was first launched in the early 1970s and as usual, they were an instant hit. 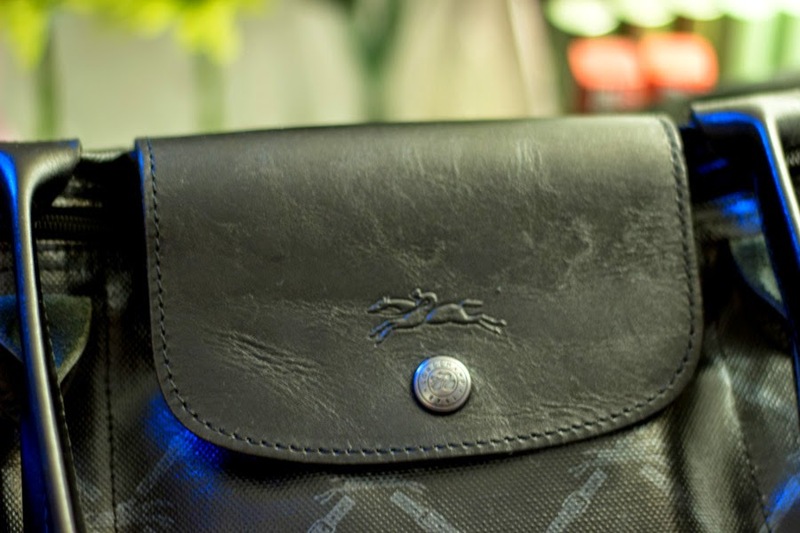 The original LM Line was made of Calf-Skin Leather which was silk screened with a vintage horse and belt criss-cross logo but the line was discontinued in the 1980’s. 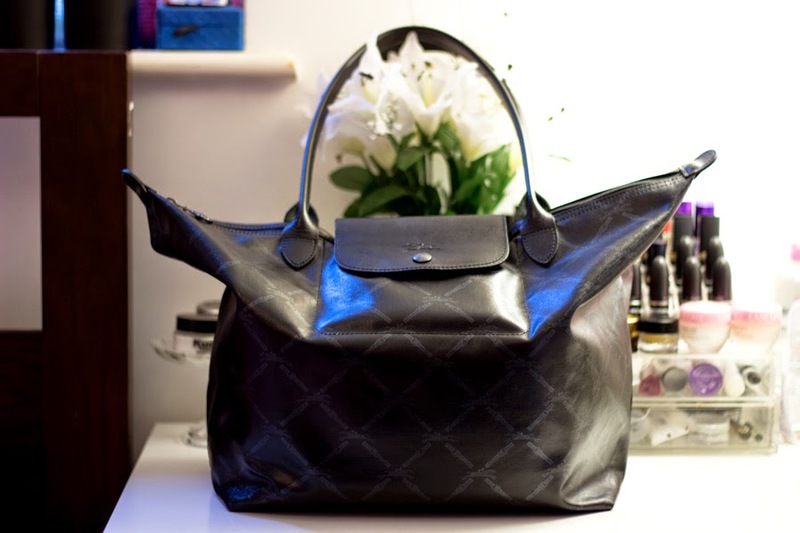 In 2008, the LM line was re-launched in honour of Longchamp’s 60th anniversary although the re-launch is slightly different to the original one. 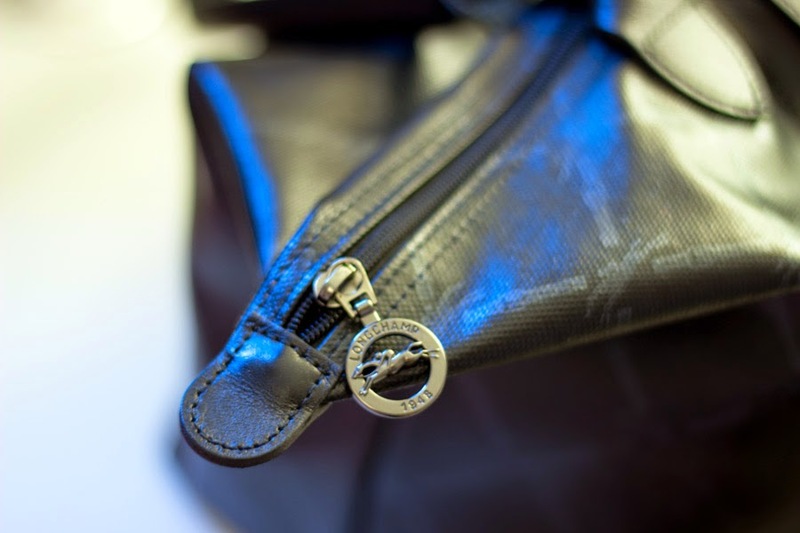 Longchamp LM metal collection is known for how uniquely it showcases the LM logo in a wide variety of fabrics and patterns. 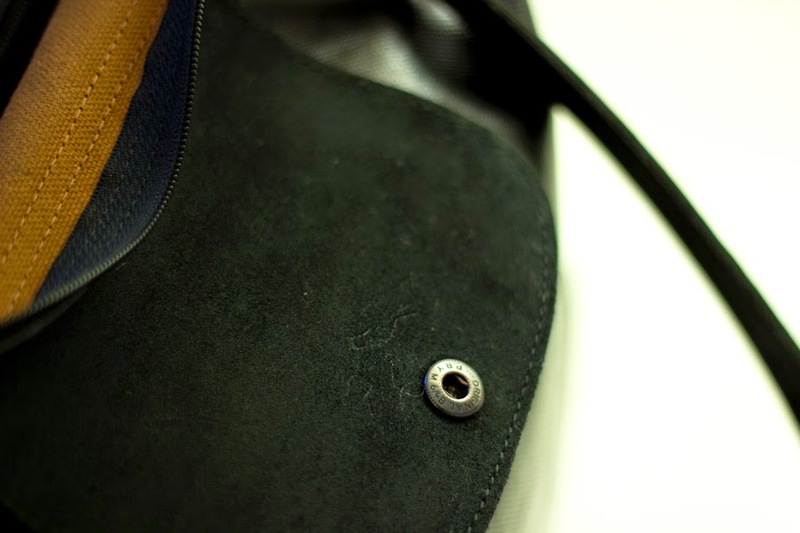 The LM range comes in Metal and Cuir but the LM Metal is much cheaper than the Cuir. The LM Metal has the horse (with jockey) and Belt print borrowed from the original LM range with a signature equestrian grid which patterns a shimmering metallic tote. 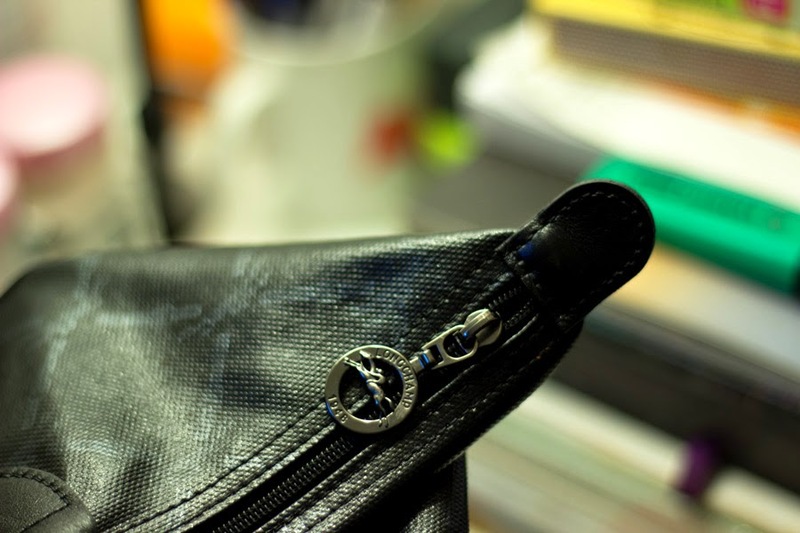 The Longchamp LM Metal comes in various sizes: Small, Medium and Large and it also comes in various shapes: Totes (Shoppers) and Handbags. 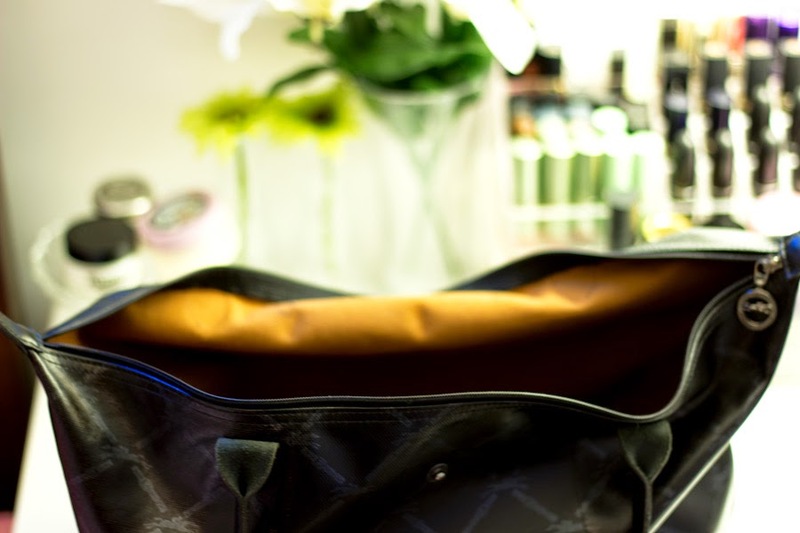 The basic difference between the Longchamp Handbags and Totes/Shoppers lies in the handle; the Handbag has a shorter handle which means you can only hang it in the crook of your hand or elbow while the Tote has a longer handle which can be worn over the shoulder. 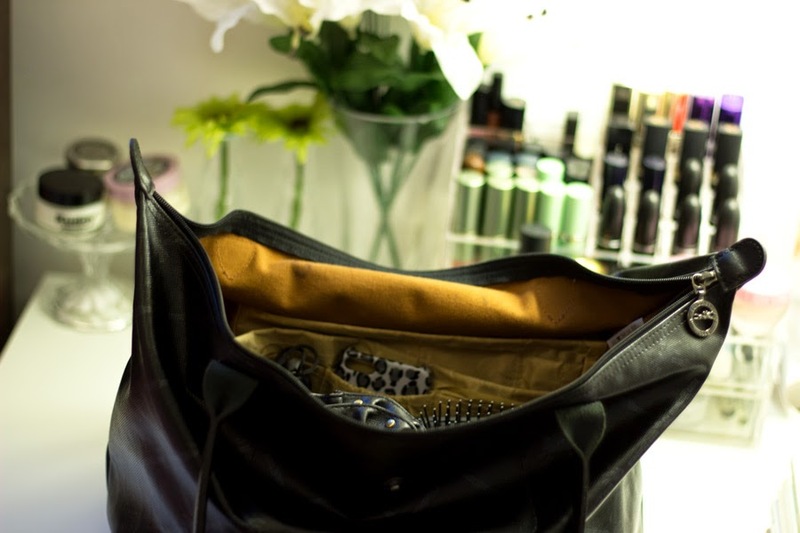 I personally prefer the Totes because it feels more comfortable and I prefer to have my hands free. I believe the Totes are slightly more expensive than the Handbags. Its dimensions are: Height (30cm), Width (31cm) and Depth (19cm). It is made from coated cotton which makes it really durable. 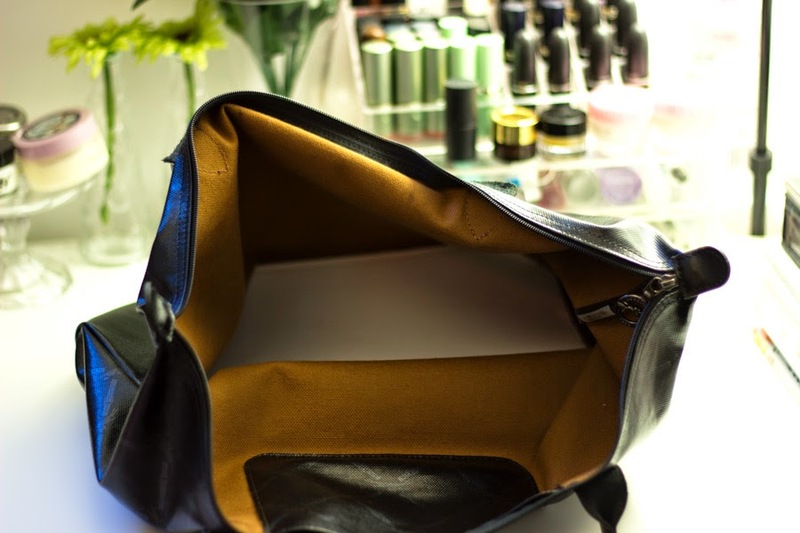 Its outer body is quite soft because it is not made from canvas as found in the Le Pliage. 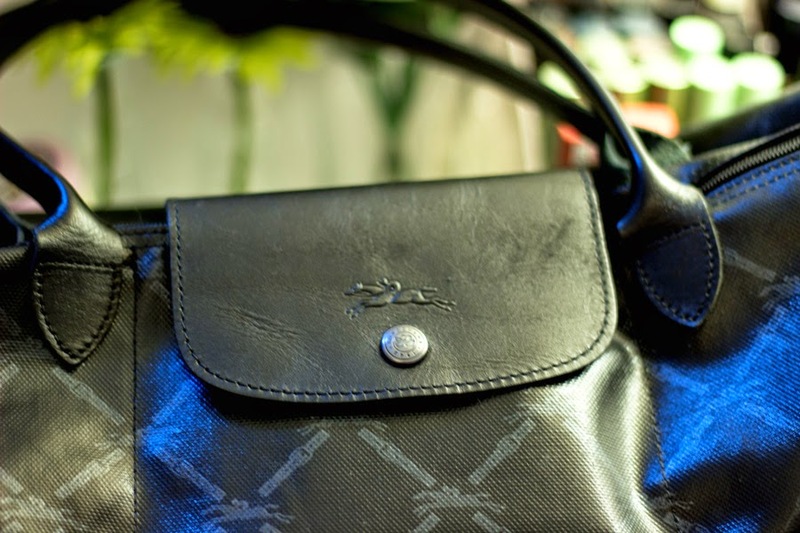 It has an internal slip pocket and a top zipper and popper fastening all embossed with the Longchamp Horse/Jockey symbol. Inside is fully lined and made from a burnt orange cotton material which is easy to clean. 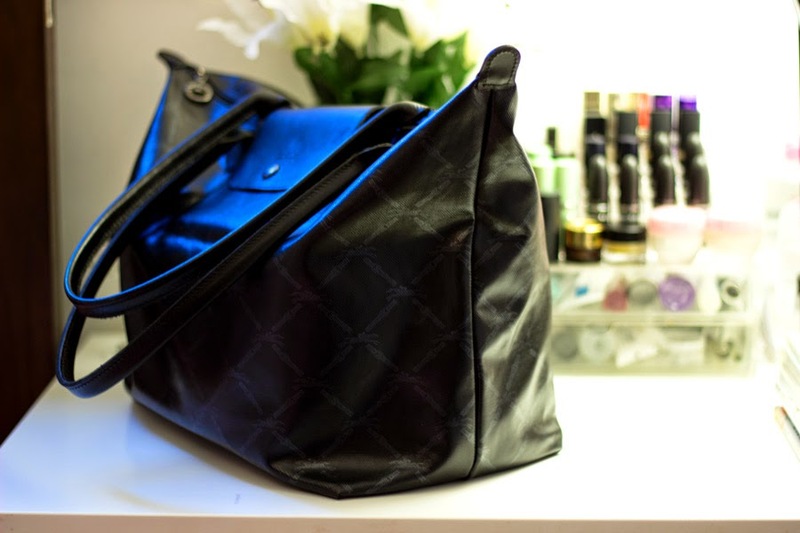 It also has fixed leather handles that has a 9inch drop which means it drops to the side of the bag when it is standing. I got this on sale in Elys Wimbledon for £60 which is a massive bargain from the original price of £86 which is still the current price in Selfridges, Saks, Nordstrom and of course, the Longchamp website and outlet stores. 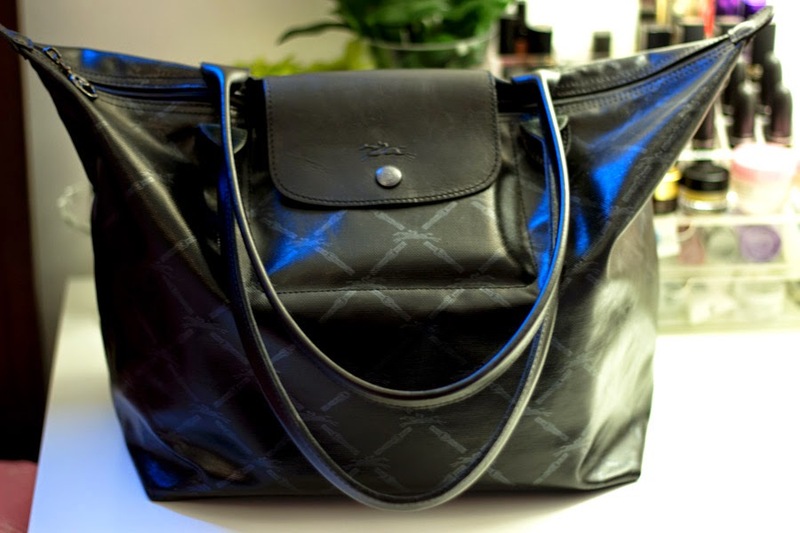 A few sellers sell it in on Ebay but I have not yet learnt the skills of purchasing designer handbags or any luxury goods from Ebay so I steer clear. 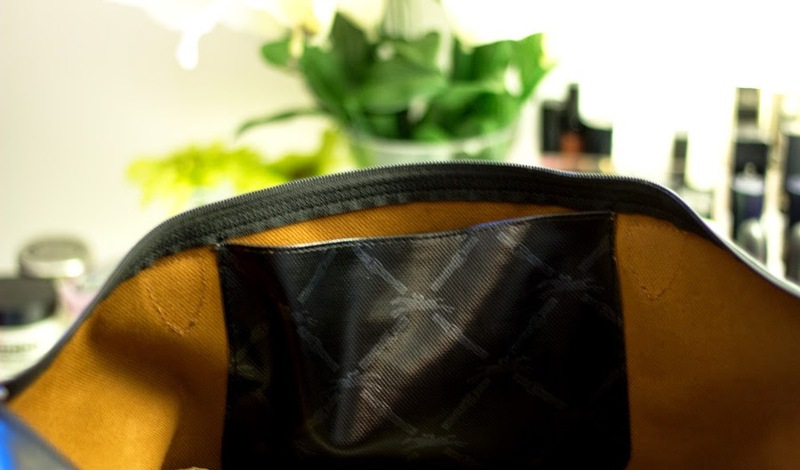 May I know whether the skin of the bag will peel off easily? I'm seldom wear my bag. Too bad, mine at bottom side, peel off already.